Here are various study tips I’ve found from people online. I actually am putting them on here so I can go through them later as well…. You’ll notice that they are pretty similar to each other. 1. Take the LEED course on TKN to get an overview of what LEED is all about. 2. Read the entire reference manual from cover-to-cover. Do not worry about the little details. Focus on understanding the Credit Intents, and what the goal is with regards to sustainability. Pay attention to the Synergies and Trade-off section in the credits where they exist. You need to be able to understand how achieving one credit may help contribute to achieving another credit, even if it is in a different section. Also, have a general understanding of the submittal requirements. Most of the credits ask for similar items. 3. Read through one section of the reference manual at a time. This time, focus on what is important for achieving the credit. Start to understand the Credit Requirements. Pay attention to which credits can earn an additional point for Exemplary Performance. 4. After you read through one section, as in step 3, immediately go back to the beginning of that section and begin reading again. This time Memorize the Credit Requirements. Learn what the Reference Standards are and what they pertain to. (Example: ASHRAE 55-2004 pertains to Thermal Comfort, ASHRAE 90.1-2004 pertains to Energy Efficiency). Also pay attention to the simple calculations you may have to make to determine if a scenario will qualify for a certain credit. (Example: How many showers do I need to for 100.000 FTE to satisfy SS Credit 4.2). I recommend highlighting the key words in the Credit Requirements for quick studying the day of the test. At this point you should feel comfortable with: Credit Intents, Credit Requirements, Required Submittals, Calculations to qualify for credits (not the complex formulae within the text), Synergies and Trade-offs, and Exemplary Performance (ID) credits. 5. Take the LEED NC Sample Exam by Meghan Peot and Brennan Schumacher. It is located T:\Est_Purch Shared Files\Est\LEED INFO\LEED TEST QUESTIONS and is the LEED NC Sample Exam (2nd Edition)_S.pdf. • Train yourself to take this 80 question test in around 50 minutes and definitely under an hour. • Pay specific attention to what the question is asking. The question will have non-relevant information in it to try and confuse you. • Assess you answers and understand what you got right and what you missed. 6. At this point, your Reference Manual should be marked up and highlighted for efficient studying. I recommend writing all of the percentages (%) required for each credit, as well as the Exemplary Performance (ID) %, on the “Overview” front page of each section, next to the credit overview. 1. Schedule your test for an afternoon time slot so that you can cram during the morning. 2. Be sure you have read the Candidate Handbook and well as the CIR Guidelines Handbook. 3. 48-hours before the test you should be flipping through your highlighted manual paying specific attention to memorizing the Credit Requirements. You should be able to make your way through the entire manual in about an hour, reinforcing the main topics: Credit Intents, Credit Requirements, Required Submittals and Responsible Parties, Calculations to qualify for credits (Memorizing the % required will allow you to do calculations from a given scenario), Synergies and Trade-offs, and Exemplary Performance (ID) credits. 4. The day of the test: Run through the reference manual again. Next, go over the practice exam to get warmed for answering questions. If you have time after that, just keep flipping through your highlighted manual. At this point be sure to have the Credit Requirements memorized, the percentages required to qualify for the credit, as well as the Exemplary Performance percentages. • Since you have trained yourself to take the practice exam in under an hour, you need to do the same with the actual test. • Go through and answer every question the first time. • Put a marker Flag on any and every question you are not 100% certain on. • When you reach the last question you should have at least an hour or more still remaining in the test. • Go back through all of the questions you flagged. Read the question again and be sure you are clear about what it is asking. You can eliminate many answer choices by realizing that they do not pertain to what the question is asking. a. You may realize that you will need to change your answer selection from what you originally chose, and that is ok. Eliminate as many choices as you can, and make a confident selection. 1. If you still have more time, start from the beginning and run through all of the questions one last time. You may recall something that you did not at the beginning of the test. (I went through most all of the questions three times to ensure I had correct answers). 2. Good luck! Be confident! It is not a hard test if you have prepared, but it is quite tricky so be very discerning when you read the question and answer choices. The questions will try to confuse and trick you with non-relevant information, so be wary of this. Guide to Passing LEED V2.2 AP Test1. 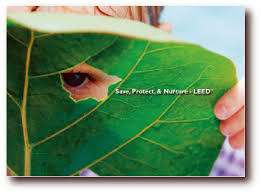 Take the LEED course on TKN to get an overview of what LEED is all about.2. Read the entire reference manual from cover-to-cover. Do not worry about the little details. Focus on understanding the Credit Intents, and what the goal is with regards to sustainability. Pay attention to the Synergies and Trade-off section in the credits where they exist. You need to be able to understand how achieving one credit may help contribute to achieving another credit, even if it is in a different section. Also, have a general understanding of the submittal requirements. Most of the credits ask for similar items.3. Read through one section of the reference manual at a time. This time, focus on what is important for achieving the credit. Start to understand the Credit Requirements. Pay attention to which credits can earn an additional point for Exemplary Performance.4. After you read through one section, as in step 3, immediately go back to the beginning of that section and begin reading again. This time Memorize the Credit Requirements. Learn what the Reference Standards are and what they pertain to. 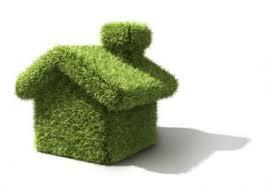 (Example: ASHRAE 55-2004 pertains to Thermal Comfort, ASHRAE 90.1-2004 pertains to Energy Efficiency). Also pay attention to the simple calculations you may have to make to determine if a scenario will qualify for a certain credit. (Example: How many showers do I need to for 100.000 FTE to satisfy SS Credit 4.2). I recommend highlighting the key words in the Credit Requirements for quick studying the day of the test. At this point you should feel comfortable with: Credit Intents, Credit Requirements, Required Submittals, Calculations to qualify for credits (not the complex formulae within the text), Synergies and Trade-offs, and Exemplary Performance (ID) credits. (Note: If you have significant construction experience, thorough understanding of LEED with regards to Sustainability, or are pressed for study time: Skip step #2 and go directly to #3)5. Take the LEED NC Sample Exam by Meghan Peot and Brennan Schumacher. It is located T:\Est_Purch Shared Files\Est\LEED INFO\LEED TEST QUESTIONS and is the LEED NC Sample Exam (2nd Edition)_S.pdf.• Train yourself to take this 80 question test in around 50 minutes and definitely under an hour.• Pay specific attention to what the question is asking. The question will have non-relevant information in it to try and confuse you.• Assess you answers and understand what you got right and what you missed.6. At this point, your Reference Manual should be marked up and highlighted for efficient studying. I recommend writing all of the percentages (%) required for each credit, as well as the Exemplary Performance (ID) %, on the “Overview” front page of each section, next to the credit overview.Taking the Test1. Schedule your test for an afternoon time slot so that you can cram during the morning.2. Be sure you have read the Candidate Handbook and well as the CIR Guidelines Handbook.3. 48-hours before the test you should be flipping through your highlighted manual paying specific attention to memorizing the Credit Requirements. You should be able to make your way through the entire manual in about an hour, reinforcing the main topics: Credit Intents, Credit Requirements, Required Submittals and Responsible Parties, Calculations to qualify for credits (Memorizing the % required will allow you to do calculations from a given scenario), Synergies and Trade-offs, and Exemplary Performance (ID) credits.4. The day of the test: Run through the reference manual again. Next, go over the practice exam to get warmed for answering questions. If you have time after that, just keep flipping through your highlighted manual. At this point be sure to have the Credit Requirements memorized, the percentages required to qualify for the credit, as well as the Exemplary Performance percentages.5. Here is how I took the exam and would recommend you do the same:• Since you have trained yourself to take the practice exam in under an hour, you need to do the same with the actual test.• Go through and answer every question the first time.• Put a marker Flag on any and every question you are not 100% certain on. (I flagged at least 45 questions so don’t hesitate to flag many of them)• When you reach the last question you should have at least an hour or more still remaining in the test.• Go back through all of the questions you flagged. Read the question again and be sure you are clear about what it is asking. You can eliminate many answer choices by realizing that they do not pertain to what the question is asking.a. You may realize that you will need to change your answer selection from what you originally chose, and that is ok. Eliminate as many choices as you can, and make a confident selection.1. If you still have more time, start from the beginning and run through all of the questions one last time. You may recall something that you did not at the beginning of the test. (I went through most all of the questions three times to ensure I had correct answers).2. Good luck! Be confident! It is not a hard test if you have prepared, but it is quite tricky so be very discerning when you read the question and answer choices. The questions will try to confuse and trick you with non-relevant information, so be wary of this. Pay special attention to MR credits (Materials and Resources) and which materials you can include/exclude for each category I was asked a handful of questions about VOC-emitting materials… know your EQ category well. I came across this a fantastic blog http://www.reallifeleed.com that had some great study tips and resources to other LEED Study materials. Check out some of the resources this fellow mentions. Building Green Suite Practice Exam – I really like BGS, as can be evidenced by this post. They have written a free practice exam (see comments on the linked page for a few bugs), which I always recommend people taking before they take the real test. The level of detail necessary to pass can be an eye opener for many. studying for my LEED AP Exam so I’ve been hunting for some great resources. I found this Video helpful as a great introduction to green building. This process also gives the architect and sub-consultants the opportunity to select colors, patterns, and types of material that were not chosen prior to completion of the construction drawings. This is not an occasion for the architect to select different materials than specified, but rather to clarify the selection within the quality level indicated in the specification. exam. On January 1st, 2010 these exams will no longer be available in Canada. credentialing maintenance program. Exams will continue to be delivered through the Prometric Test Centres across Canada. The changes mark a significant improvement in the evolution of the LEED AP Program. October 23rd, 2009. This will be the last date to register your intention to sit the LEED Canada NC exam and the LEED Canada CI exam. Registration can be done by visiting the CaGBC website (www.cagbc.org) and must be completed by 6pm EST / 3pm PST. December 31st, 2009. This is the last date in which you can write either the LEED Canada NC exam or the LEED Canada CI exam. On January 1st, 2010 these exams will no longer be available in Canada. The CaGBC would like to encourage anyone interested in writing these exams to register and schedule their exams as soon as possible. My interest in green & sustainable construction is ever so increasing and I decided to take this interest one step further and sign up for the Canadian Green Building Council regional membership. The west coast falls under the Cascadia Region which covers both the west coast of Canada and the United States. Its never been a questions that clean technologies can make a difference it’s been a question of how fast they can be developed and implemnted into the market place. I’ve decided I want to be part of the change and help lead it in any way possible, even if it feels its at the micro level. The next step may have to be challenging of the LEEP AP accreditation, thats one of the reasons why I also signed up the National Benefits Package which gives you access to some valuable resources but also it saves you a penny through this process.